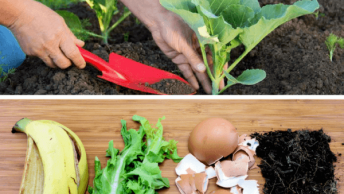 These essential gardening tool will help you grow and harvest a super productive vegetable plot. 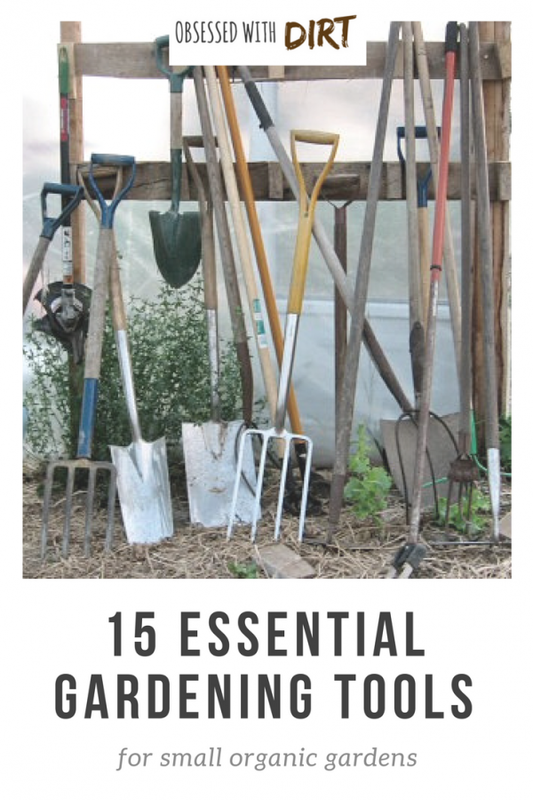 Gardening is labor intensive and can be a lot of hard work if you’re using the wrong tools. Sure you could get away with using cheap Walmart tools that break every season. But the cost of replacing and servicing poorly made tools will soon out weight the investment in good quality, well designed implements. 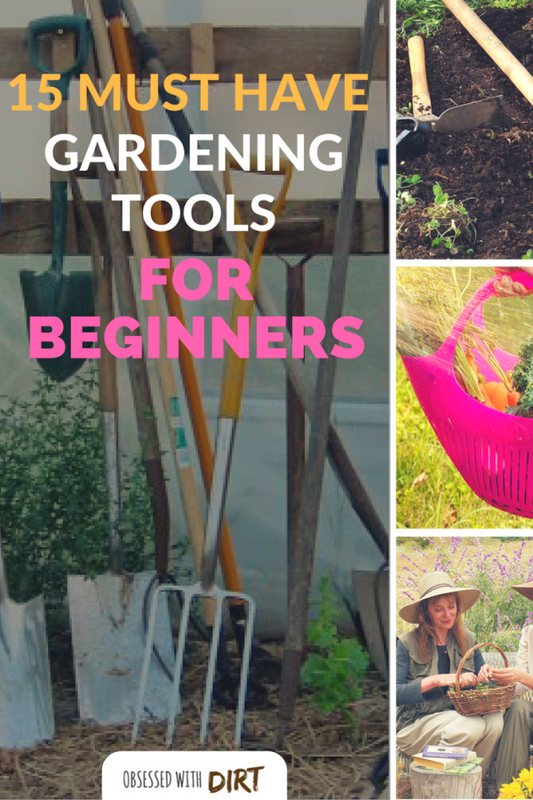 Here we take a look at the most essential gardening tools for every backyard gardener to help you grow the most productive vegetable garden with the least amount of effort. Easily the most essential gardening tool in our list – if you don’t have a good pair of garden snips then gardening is going to be a real struggle! 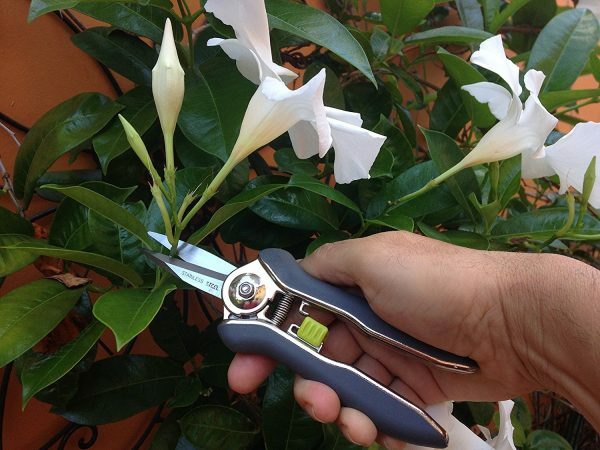 Unlike secateurs which are designed for pruning woody plants, snips have a very sharp pointed blade. The narrow blade makes it easy to get into small places and ‘snip’ tomatoes or fruits from the vine without damaging the plant. A good pair of snips is spring loaded, lightweight and durable like the 6.7” Ultra Snip. An essential gardening tool that will make maintaining your vegetable garden 100x easier and less time consuming. 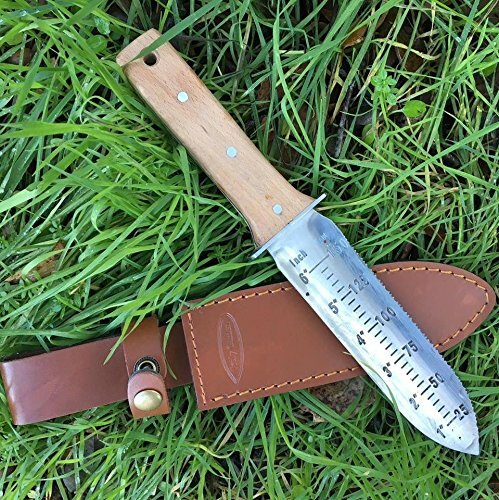 Make sure you get a Hori Hori that comes with a leather sheath to protect you from the sharp blades when you’re not using it. I use this Hori Hori every single day, it comes with a durable leather sheath, sharpening stone and the blade is made of high quality steel that takes forever to dull. You’ve probably already got a shovel in your shed so you might be tempted to skip over this tool but don’t! I was given one of these ‘ergonomic’ tools as a gift and it sat in my shed for years until my trusty old shovel finally broke. 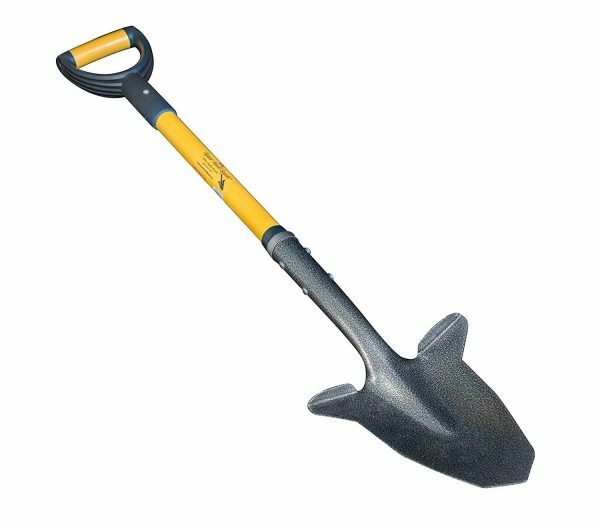 I still remember the first hole I dug with this ergonomic shovel. It was the easiest hole I have ever dug! No sore back, and it took considerably less effort to shovel the dirt around. If you do a lot of digging, then getting an ergonomic shovel like this one is an absolute must! 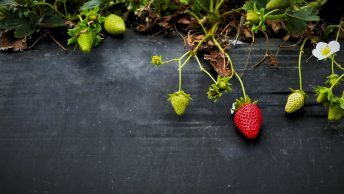 Weeding is the bane of all gardeners and every gardener I know has at least a dozen stubborn weeds they can never get rid of – no matter how hard they try. Part of the problem with persistent weeds is that when you pull them the roots are left in the ground. The roots quickly grow new tops and you’re left forever pulling your weeds without ever really removing them. That’s why the cobrahead weeder is every gardeners best friend. It gets right under the weeds and pulls them out roots and all. Say goodbye to your weeds. Finally my mum (who was fed up buying me new clothes!) 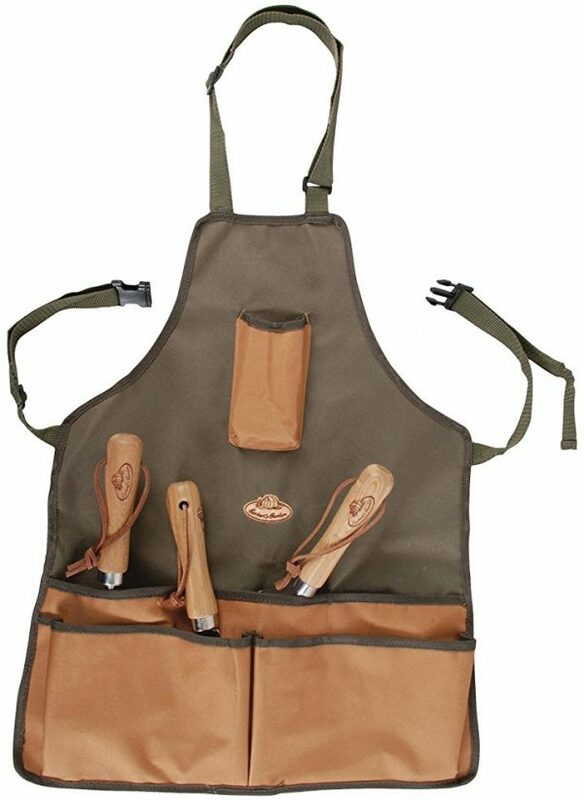 got me this gardening apron. Not only did it make me look super cool but it also protected my clothes from getting dirty and had deep pockets so I could carry a few tools with me. 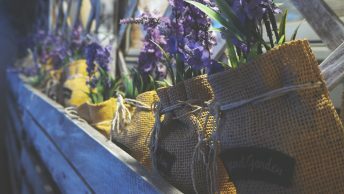 Garden aprons are an essential gardening tool – even if they aren’t really a tool! One of the best things I ever did in my garden was start a garden journal. Every time I planted something, applied fertilizer or harvested a crop, I wrote it in my journal. But it also gave me a platform to plan everything out for the whole season. 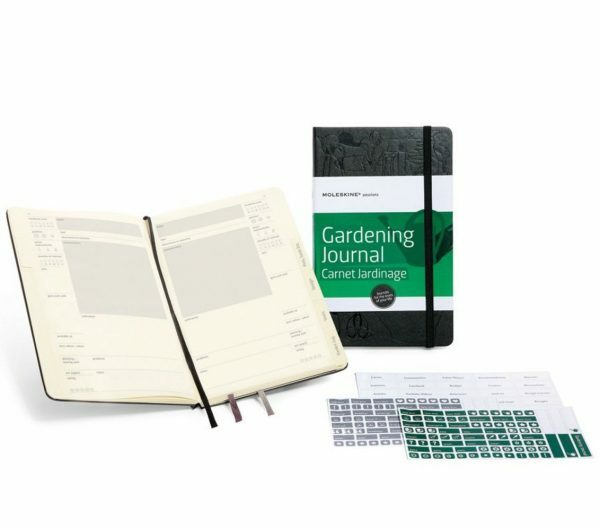 With a garden journal you can organize all your most important gardening events and dates. 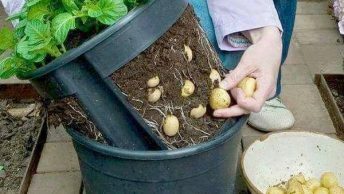 Such as when you need to sow each crop, when you should fertilize or spray for pests. Planning your garden out each year will help you space out your harvests so you’ve got food all year round. 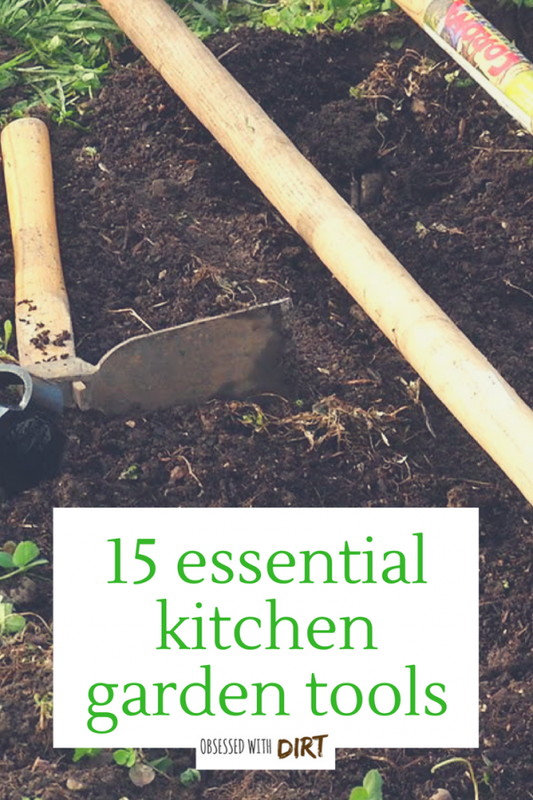 Getting the right tilth is essential for germinating seeds. 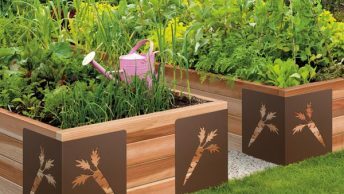 Garden beds need to be regularly raked free of debris and levelled before being planted. 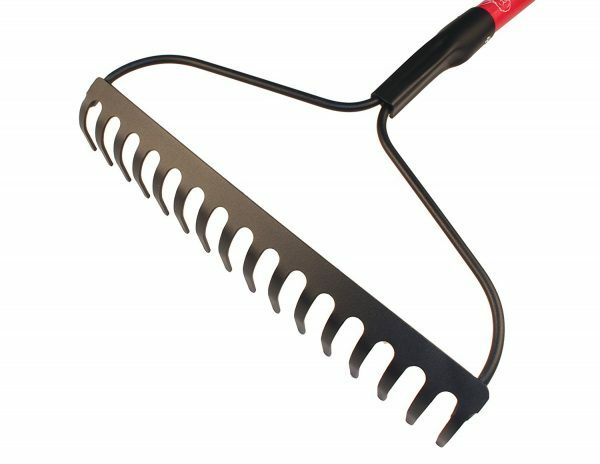 A good quality bow rake will help you prepare your beds before planting, spread manures and composts, and cleanup after your plants have finished. 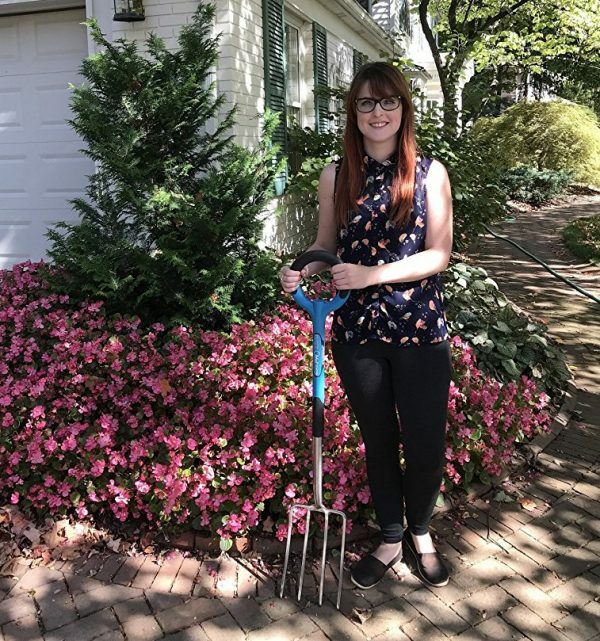 The best bow rakes for backyard gardeners is lightweight, durable and made of good quality steel for the teeth. You’ll find many cheaper rakes attach the handle to the centre of the head which is a weak construction. Bow rakes connect to the head at either end which helps distribute the load and greatly reduces snapped handles. Regardless of whether you have irrigation installed or not, your vegetable garden will need the occasional hand watering. Young seedlings and water hungry plants such as lettuce will appreciate a daily or even twice daily hand watering. 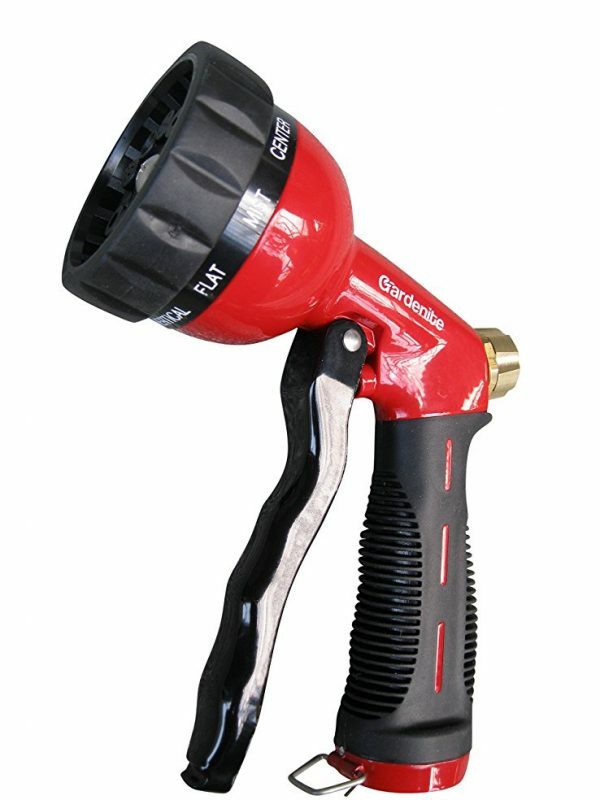 The most important (and often overlooked) aspect for sprayer nozzles is the size of the water jets. Vegetables and young seedlings are fragile and you want to avoid damaging them with a heavy jet of water. Choose sprayers that have multiple jet options and use fine mist for young seedlings, sprayer for small vegetables and soaker for big crops like corn. A good quality garden hose like this one which never kinks, is also a must if you are going to be hand watering regularly. An ergonomic essential gardening tool that every vegetable grower will appreciate. Forking over a garden bed is one of the most labor intensive tasks in the vegetable garden. An ergonomic digging fork will make the back breaking work much, much easier! The radial handle on this garden fork is more comfortable than the standard D handle type and the resin encased steel shaft is both lightweight and impossible to break. 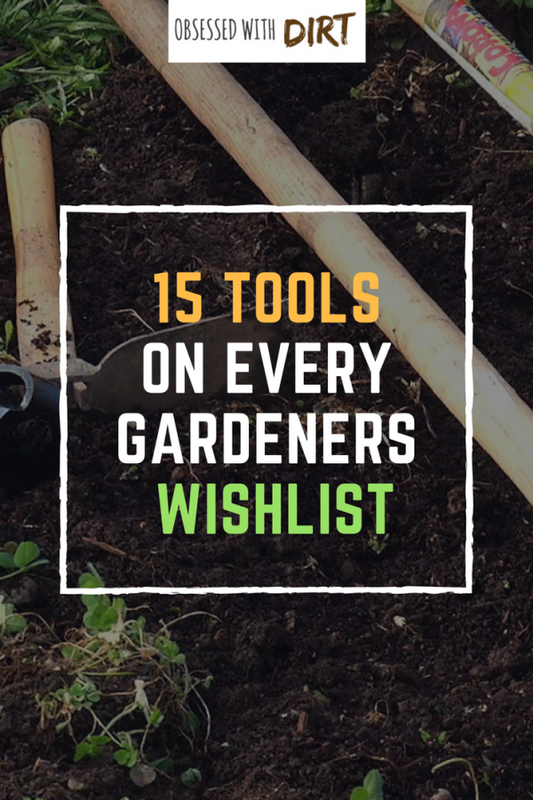 This tool will see you through decades of regular use and save hours from maintaining your garden. I have to admit that the first time I saw this yard cart I thought it looked pretty ridiculous. But then I used it and boy was I impressed! It’s at least 4 different tools in one and makes life so much easier. You can use the sling to move heavy rocks and planters easily. 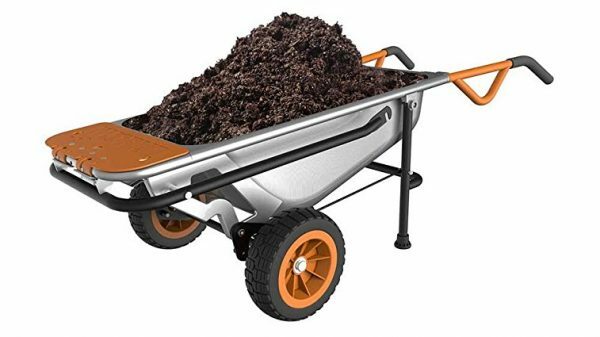 The wheelbarrow is a great size and very durable. The kickshoe doubles as a bench when it is folded flat and fridge trolley when it is down. I found that the weight distribution was incredibly well managed. It doesn’t matter how light or heavy the load is, or where I’ve got it, the yard cart is easy to move and does all the hard work for you. Forget the cheap $2 gloves. They only last a few weeks if you’re lucky. Instead invest in some commercial quality forestry gloves. Made from durable silicone and bamboo fabric these gloves are breathable and hard wearing. 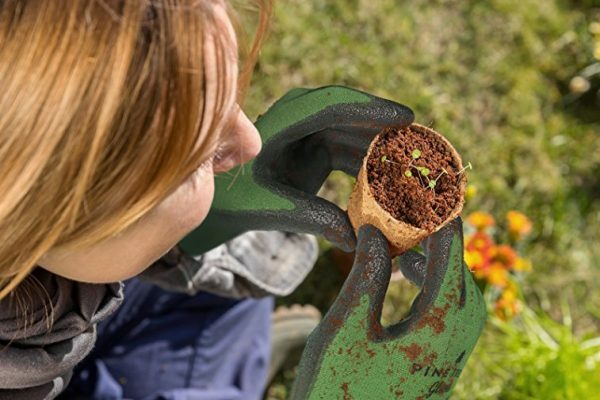 Wearing gloves is one of the best ways to avoid cuts, bruises and dirty hands whilst you’re working in your vegetable garden. I find that these gloves will last 6 months with daily use, even longer when I only use them occasionally. When they start to get a little smelly (all gloves do) you can just put them in the wash with your work clothes and they’ll come out smelling brand new! Regardless of your age, kneeling pads make gardening far more enjoyable. Trying to kneel or squat for hours whilst you maintain your crops can be very uncomfortable. Let alone the odd occasion when a stick or rock stabs you in the knee! Kneeling pads are essential gardening tools for every gardener. 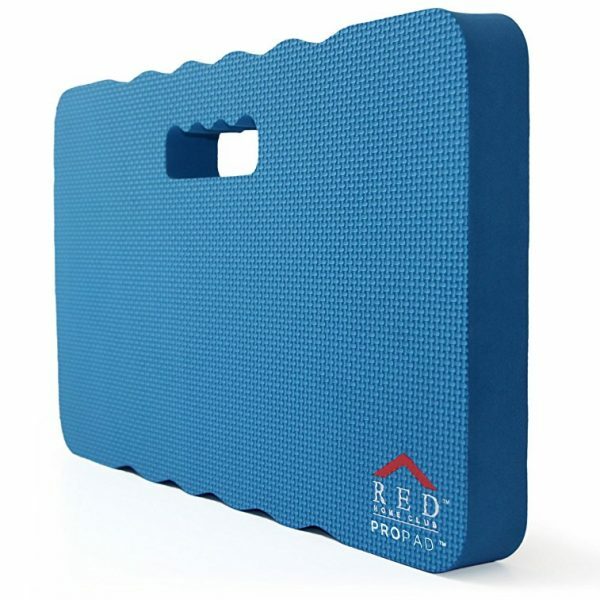 Made from durable and hard wearing foam a good quality kneeler will last you decades of regular use. Look for one that is at least 1 inch thick for the ultimate comfort and protection. It’s all too easy to step outside without your hat on. But gardening in the sun without protection isn’t smart. Not only at you at risk of cancer, but getting a sunburn on your head or face can be very painful. 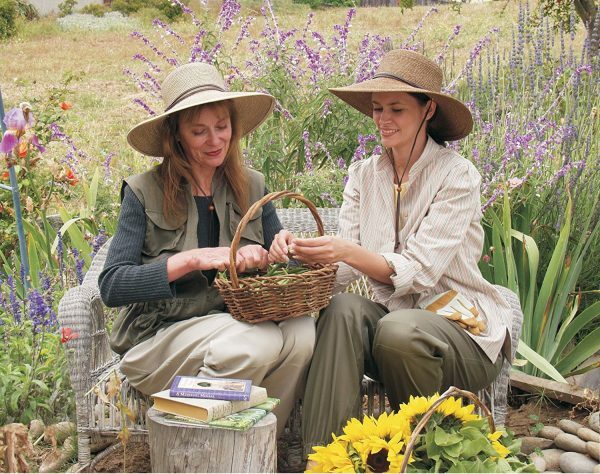 I highly recommend the Sloggers range of gardening hats. They are breathable, durable and look great. This one is great for women and this one for the men. 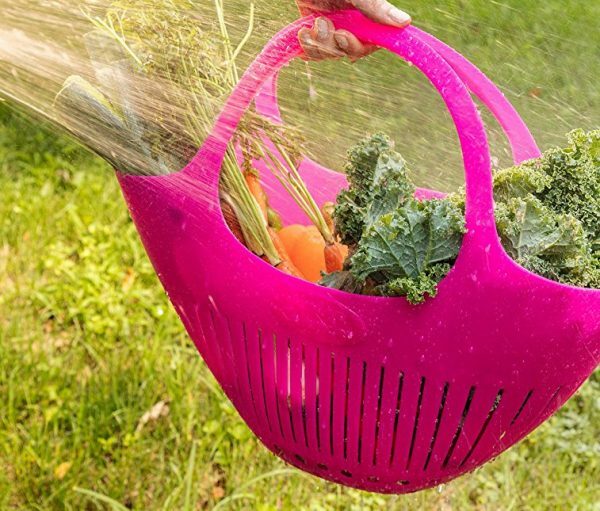 Harvesting vegetables is easy with this handy garden colander. Just put your crops into the basket and rinse off with a hose before bringing them inside. 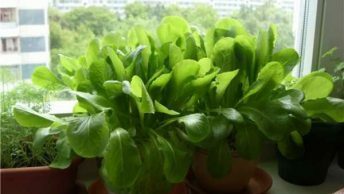 No more sandy lettuce leaves or surprise insects in your salads! Give the colander a good tap on the ground to shake off any loose dirt from your vegetables before washing them. The colander is BPA free and great for the home garden or farmers market. 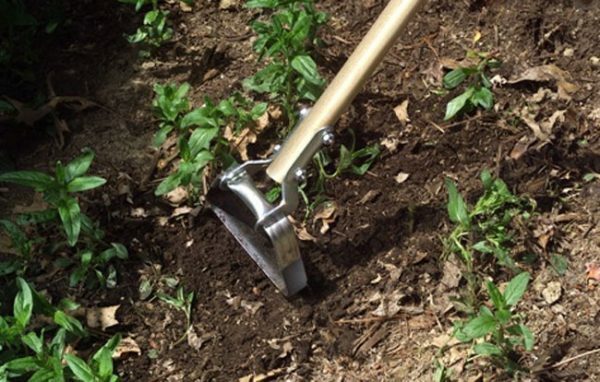 If you want to quickly weed a garden bed then this fast action hoe is exactly what you need. Just push the edge back and forth through your soil and it will cut the weeds from their roots killing them in one quick motion. 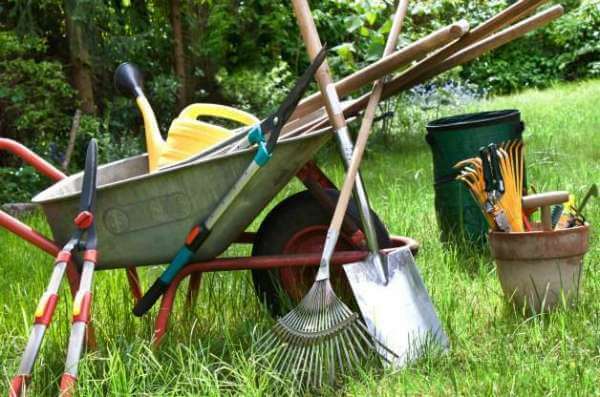 You can easily remove the weeds with a bow rake and then plant or tend to your crops. 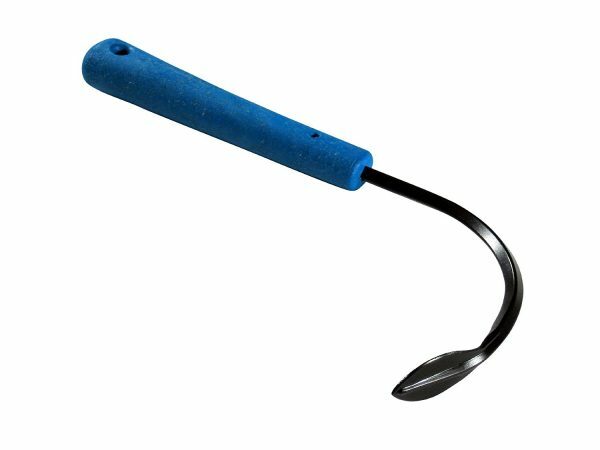 This action hoe is essential for large vegetable gardens or for gardeners who want to avoid bending over to weed beds (ahem, everyone). 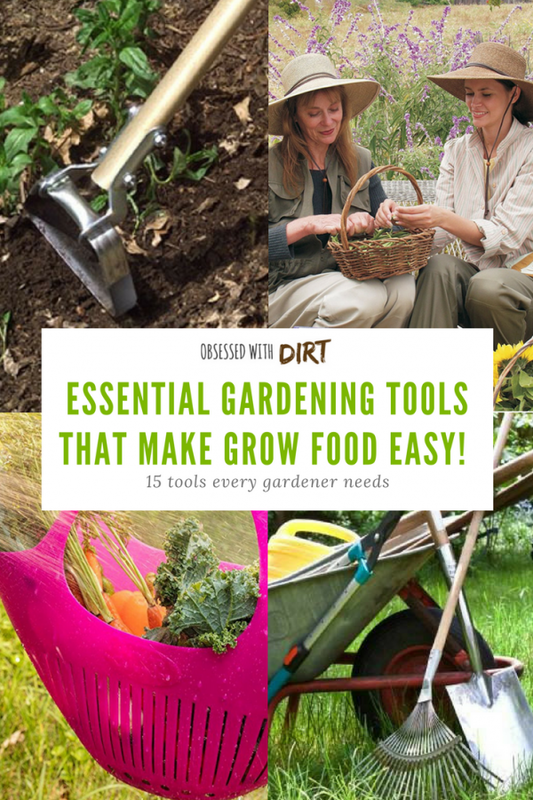 What do you think about our essential gardening tools line up? Did we miss any tools or did you find any that you need? Let us know in the comments below.